People have various opinions when it comes to driving. Depending on who you talk to, you will find it to be boring, interesting, fun, tiring, engaging, disengaging – all valid points of view we get from everyday people. But perhaps one thing that any sober person would admit about driving on the on or off road is that it can be quite dangerous and that it is worth investing in some additional safety equipment to stay on top of the risks. And a must-have in an arsenal of that sort has got to be a wireless camera kit (because we live in a time when wires are becoming increasingly irrelevant) because it supplements an extra set of eyes where your own eyes could never reach. We are happy to report that the tech industry is booming with many new and exciting wireless systems that promise to make the lives of motorists a lot safer and more convenient. That said, not every wireless camera system is made equal. There are some which are absolutely brilliant and some that are downright terrible. But once you have gone through our top 10 list and buying guide, you will know exactly where to get the good stuff. Before we jump into the list, let’s briefly go over some of the crucial details that must be part of a good wireless camera system. Indeed, some camera kits are better than others and to help you identify them, here are some of the mandatory criteria you should look for before you buy. Viewing angle: Your camera should give you a field of vision beyond 90 degrees at least. A very good one will give you a range of 170. However, anything going over 120 is respectable. Clarity: Images should ideally be streamed in high definition since it allows you to identify potential obstacles quickly and clearly and gives the maximum amount of time to respond. Night vision: Night times is undoubtedly when you will be most dependent on your camera so make sure it has a top grade night vision facility. Value for money: Assess all of the benefits and shortcomings of the system you have chosen and decide if the asking price is worth it. And now we are ready to unveil our list of top 10 wireless camera systems for this year. Why we like it: Loaded with a wealth of security features as well as ample resistance to all kinds of weather and vandalism. Also backed by a two-year warranty period. Not only is it wireless, it also relays recordings in 720P high definition. It is an NVR system that is designed mainly for setting up in homes or small businesses. The set-up, of course, is incredibly easy since there is no wiring to deal with. There are no exposed lines either which makes the set look that much more discreet and aesthetically pleasing. All four cameras are resistant to any type of weather condition and also contain powerful night vision. The cables have been threaded through the mounting stands for added safety against vandalism and any other uncalled for interference. The mounts themselves have been adapted to work on both walls and ceilings, a handy feature to have when you trying to decide on the most discrete location to set up your camera system. The cameras also contain a motion-sensor which so they will begin recording the instant there is any activity detected in the room. What’s more, you can even control the range of the motion-sensor on each camera. Whenever activity is detected in the room, it will immediately be relayed to your smart device via a push notification. This system has been equipped with a wifi module, also wireless, with a strong anti-interference feature to ensure a stable signal reception over a fairly long distance (at least 350 meters). That said, on the off chance that the signals do get interrupted, you can always fall back on a wired connection which also comes as part of the set. Why we like it: From a brand that lists customer satisfaction as its number one priority, this system is simply equipped, simple to use, and simply marvelous. Esky is a name that is synonymous with providing top of the range consumer electronics that satisfy even the most demanding customers. They are a company that values customer satisfaction above all, and this comes through in the various design aspects of their products. They are both innovative and reliable to use. The EC170-08 rearview camera must be a quite a thing then, and it is. First of all, it is very easy to install, requiring four simple steps. First, the camera can be mounted on the back window, license plate or any other area that suits. The lens is also highly adjustable. 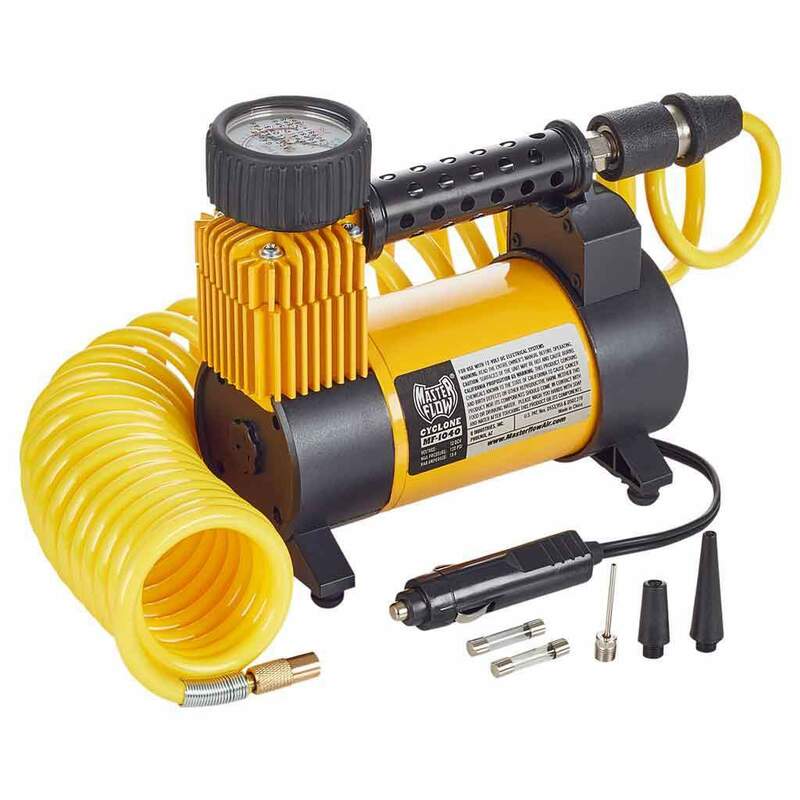 Afterward, connect the power cable to the DC 12V system of your vehicle. And finally, connect the video cable to your vehicle’s display unit and you are good to go. The NTSC TV system gives you a range of 170 degrees. The design is highly functional and stylish to look at. in case you were wondering, yes, it is waterproof. Clear night vision is definitely a given as well. This camera kit comes equipped with a single EC170-08 camera, a DC power cable, and a, AV cable. You also get 12 months warranty, a 30-day money back guarantee, and lifetime customer support. 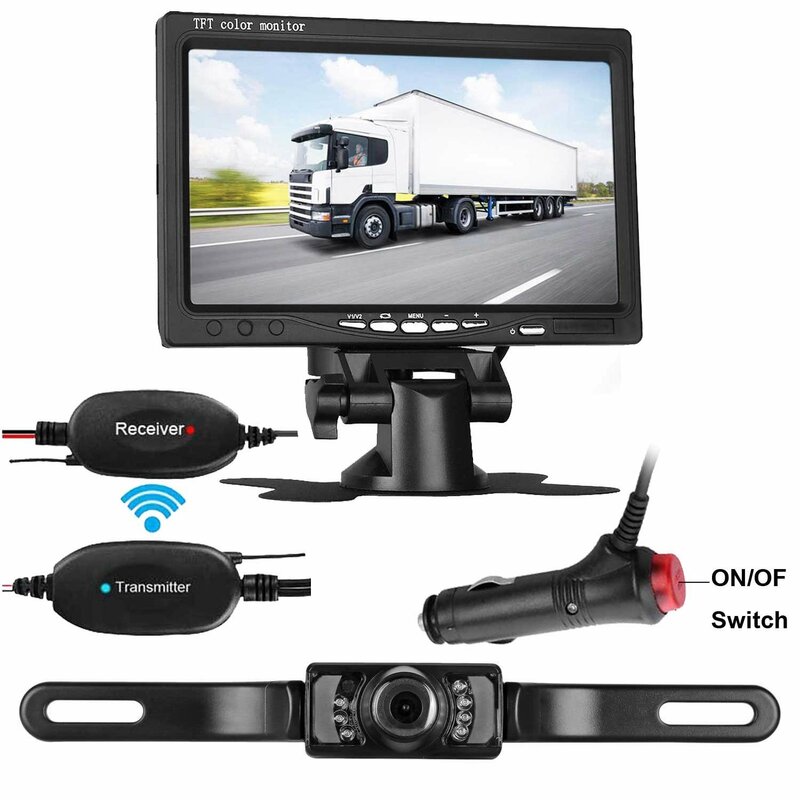 Why we like it: It doesn’t matter what you drive; this is a wireless camera system you simply cannot ignore A) because it will probably suit whatever vehicle you have and B) it is chuffing marvelous! This wireless camera kit from LeeKooLuu (a fun word to say) has been adapted not only for cars but for other vehicles like trucks and camper vans. 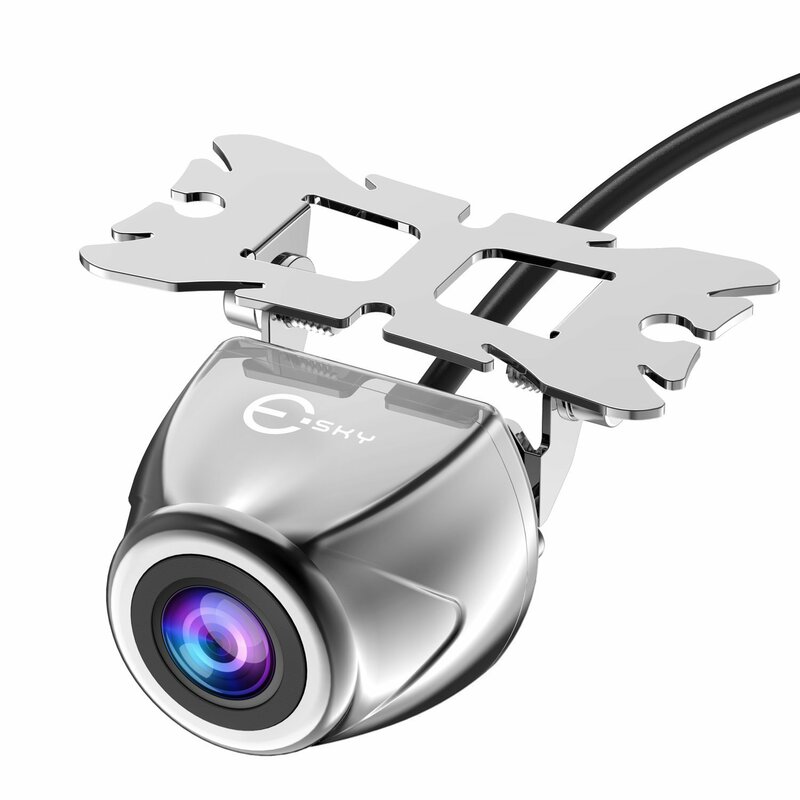 This means it appeals to a wider range of buyers than your typical reverse camera. 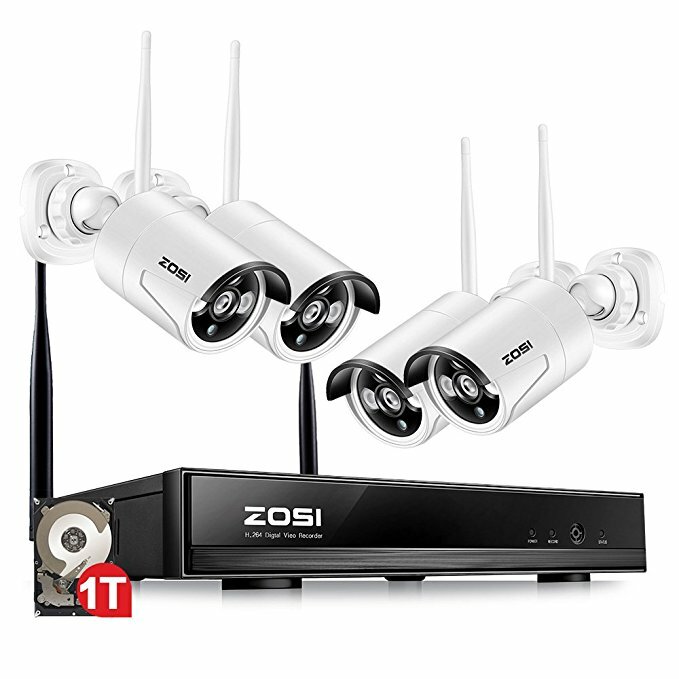 It streams images in HD quality and features 7 LED IR night vision. It is also IP68 waterproof so there’s nothing to worry about if you expose it to a hefty splash every now and then. The monitor that comes with it can be hooked up to your car’s fuse, ignition, or cigarette lighter, and it can be mounted either on the dashboard or on a number of other places. You may make a special request for a suction cup mount if you want to mount the monitor on the windscreen. 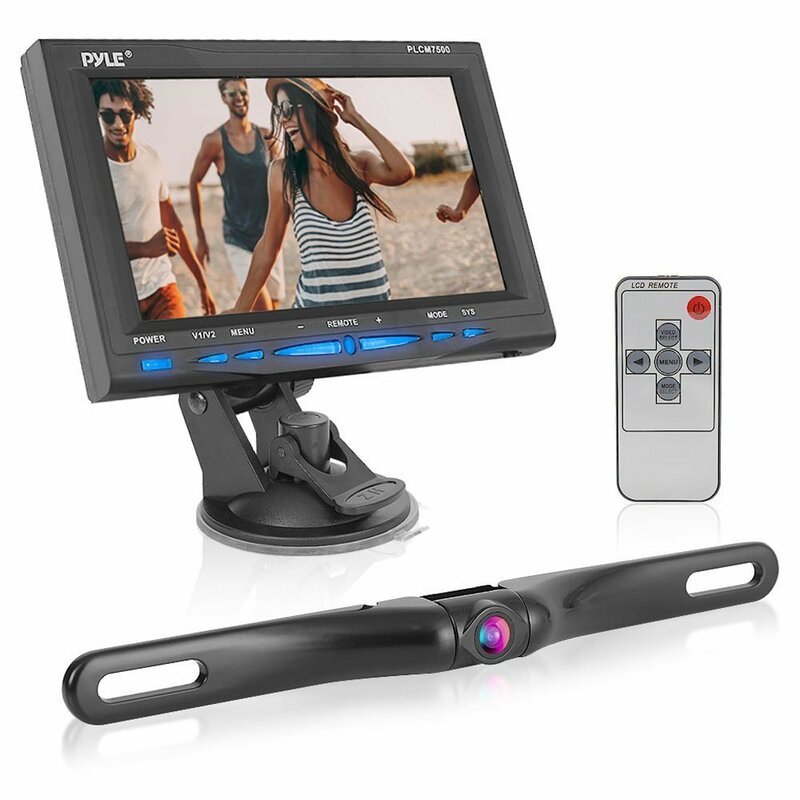 More on the monitor; it succeeds the multiple standards for safety, including those of the FCC, RoHS, CE, IP6X, and UL. The screen size is 7 inches and the screen ratio is adjustable between 16:9 and 4:3. Meanwhile, the rearview camera is equally impressive when it comes to safety, living up to that same standards as the monitor. Plus, it is IP68 waterproof. The lens covers a viewing angle of 135 degrees, not the best in the industry, but hardly something that would hinder you. All things considered, this is a very well-equipped and versatile system that can be fitted onto multiple locations on different vehicles. And it comes with the added reassurance of a 2-year warranty. Why we like it: An easy to install, minimally equipped system that is designed to last long while opening up your blind spots in high definition. The iStrong system will work as a backup camera, streaming images in HD quality all day, all night. It can also be positioned either to cover the front, rear, or side of the main camera system you have installed. Being a backup system, there isn’t too much difficulty with the set-up process. It can run on a single power supply such as the car’s cigarette lighter or tail lights. 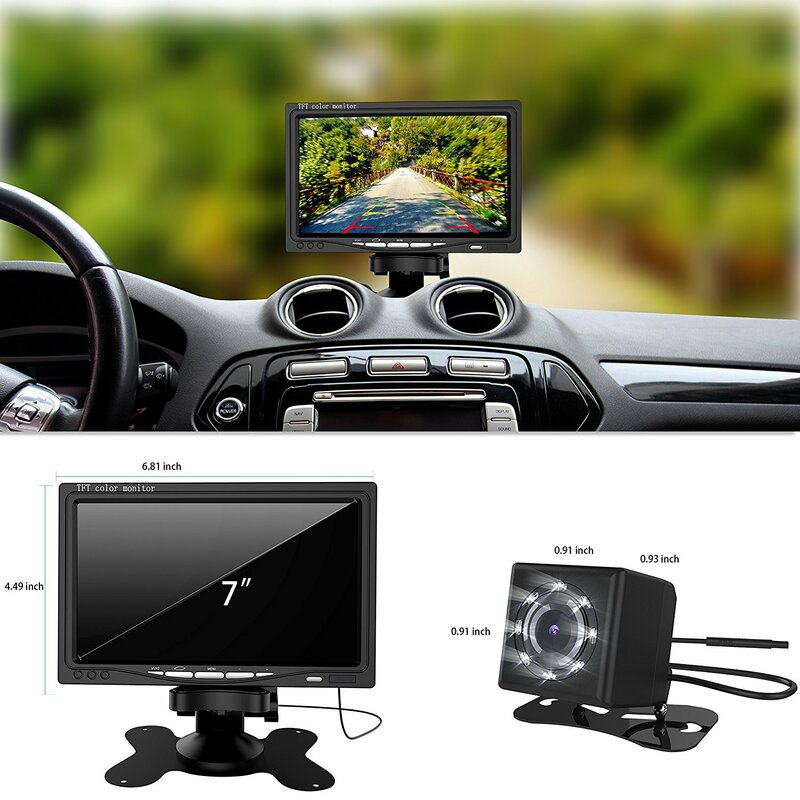 Mounting it is possible in multiple areas and the monitor will fit comfortably on the dashboard. In any case, there is an instruction manual included and video available if you need it. The screen resolution on this system is not the greatest at 480 (W) x 272 (H), but it is not exactly appalling either. The viewing angle of the camera is a modest 135 degrees which is good enough to work with in most cases. Plus, there are benefits elsewhere. This system has been configured to use a minimal amount of power which helps keep it from overheating. In order to make the installation easy for even the most un-savvy tech users, the system contains a minimal amount of components – just the camera, monitor, power cable, video cable, and user manual. It is IP68 waterproof and backed by a 2-year warranty period which includes tech support and services. Why we like it: Offers everything you might expect from a backup camera kit and then some. Also, comes with a 2-year warranty. When ZSMJ set about designing this backup wireless camera system, they never intended to limit it just to cars. They also considered vehicles like SUVs, pickup trucks, and other off-roaders. And to make a camera that works well off-road as well as on tarmac is quite feat. Have they pulled it off? You bet they have. Naturally, the camera needed to be tough and operable in the dark, so it has been given IP67 waterproofing and 7 LED IR night vision. Whatever the time of day, your live stream will be in HD quality. 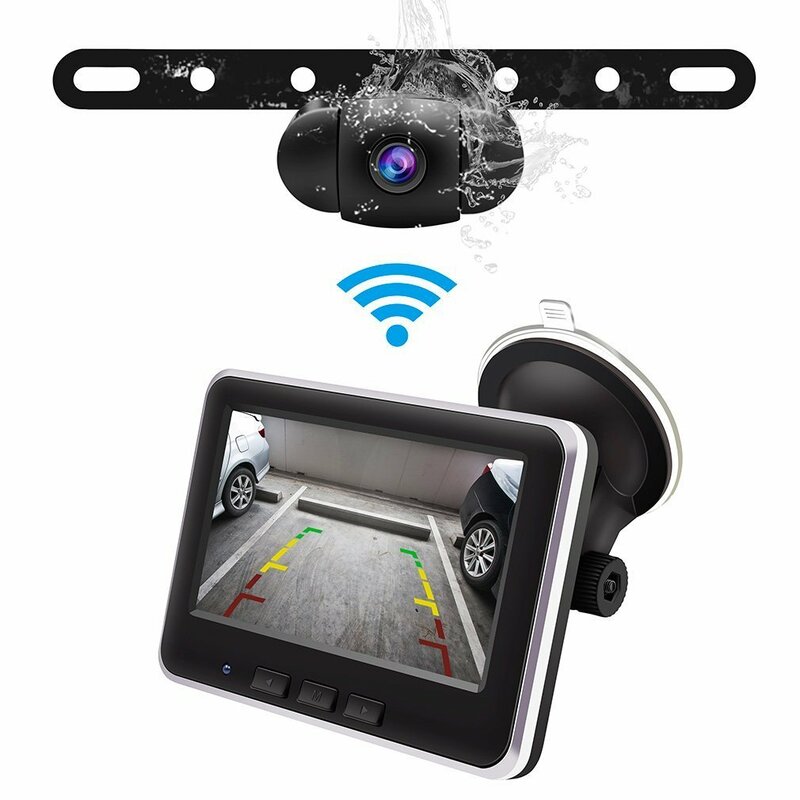 While all this may not appear to be particularly impressive, let’s remember that this is intended for use as a backup camera system, some extra eyes to cover the blind spots of your main camera setup. However, as is typical of a backup camera system, it is very easy to install and can run on a single power source such as the cigarette lighter or tail lights. The monitor can be mounted on the dashboard or suspended from anywhere else thanks to a removable hook. The number of components in the whole package is limited, just the camera, monitor, a power cable, video cable, and the user manual. Why we like it: A backup camera that punches well above its weight thanks to a few features you do not normally find in other camera systems in its range. As you may have observed, backup cameras are becoming more prevalent today. This is perhaps thanks to the number of accidents motorists face on the roads each year. It is possible even for your main system of cameras to have a blind spot or even malfunction altogether. The solution, of course, is to get a backup unit. But just because it is meant for use as a back-up does not mean that it is built to a cheap standard, at least not with this particular one. The Pyle backup camera is a compact and rugged system that will give you a much needed extra set of eyes when you are on the move. It has an impressively wide viewing angle of 170 degrees. Everything it sees is transmitted to the monitor in high definition. Its preferred mounting position is on the license plate while the monitor goes on the dashboard. 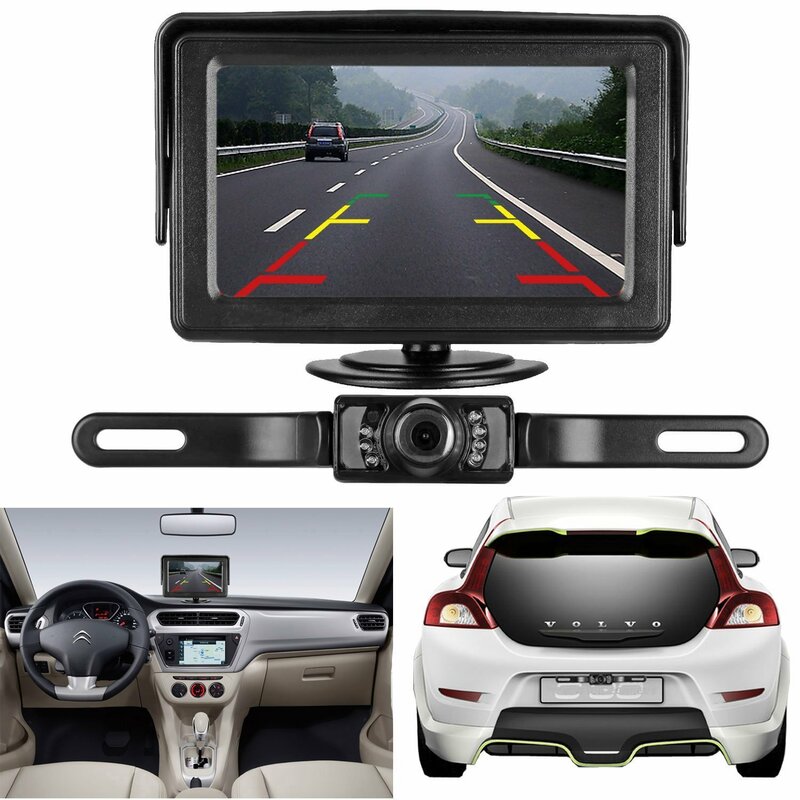 This is characteristic of a good backup camera, and is very easy to install. It also has what is called distance scale lines – effectively a display that helps you park your car properly without relying solely on side mirrors. Waterproofing and night vision are a given of course, as well as extreme fog resistance. The waterproofing, in particular, is up to the IP67 standard, so this camera will not at all be shy of any storm you might drive through. You also get additional control thanks to a small, wireless remote. Why we like it: A great backup system that can be installed on your vehicle with no fuss and gives you HD quality in all weather conditions. Also, it works on different types of vehicles. 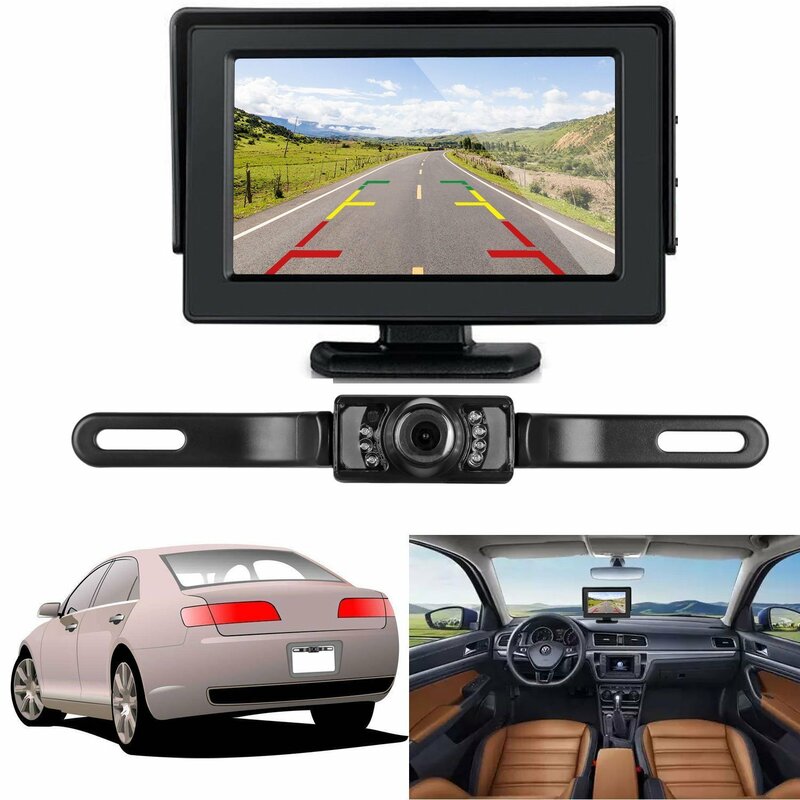 The Accfly wireless backup camera system is a remarkable device for a number of reasons. Unlike a lot of other cameras, you can simply attach it above the license plate of your car without drilling ugly holes in the bodywork. Plus, it is not just cars that it is suited for. It is just as effective on trucks and even buses. It is a truly wireless system that streams its live images in HD quality. It will start automatically whenever you put your vehicle into reverse. The viewing angle, it must be said, is not the best – just 120 degrees. That is not particularly bad in most cases but as a camera, you always want a wider range to be under your radar. As for the monitor, it will go on more than one place in the cabin, such as the windshield or center console. When not in use, it displays the date and time, which is always a useful feature to have. It is set using a strong and sticky silicone bracket. However, its adhesive quality will decline over a long period of time but once cleaned up with some hot water, it will be good as new. Being designed for both on-road and off-road vehicles, ruggedness was obviously a high priority with this camera. It is, therefore, IP68 waterproof, and good enough last through any weather conditions that you might face. Why we like it: It doesn’t matter if you drive a car, truck, bus, or even an RV, the Podofo wireless camera kit is a one size fits all. Here is what you need to know. We like camera systems that are designed to handle more than we expect them to. 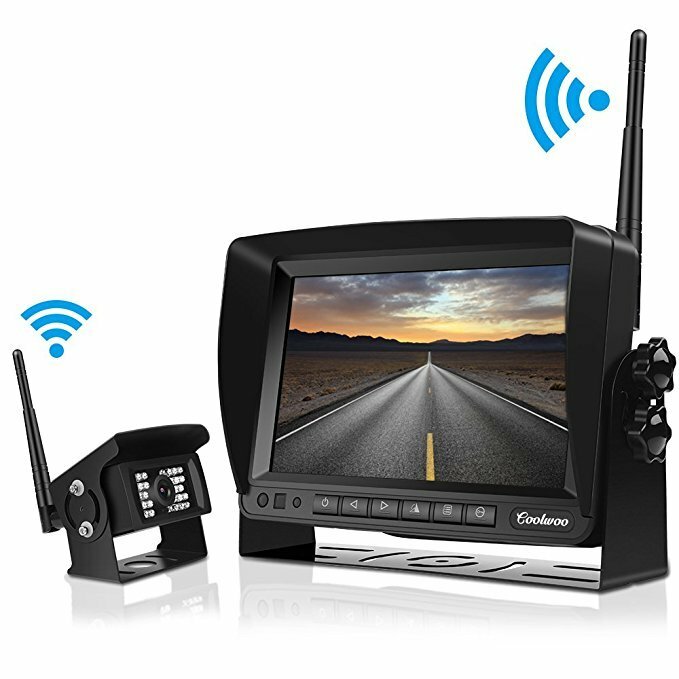 In the case of Podofo’s wireless camera system, it is the ability to work on a wide range of vehicles including cars, trucks, buses, RVs, and even motorhomes. Whichever it is, the system sets up easily and makes driving a lot safer. The whole package has many components. 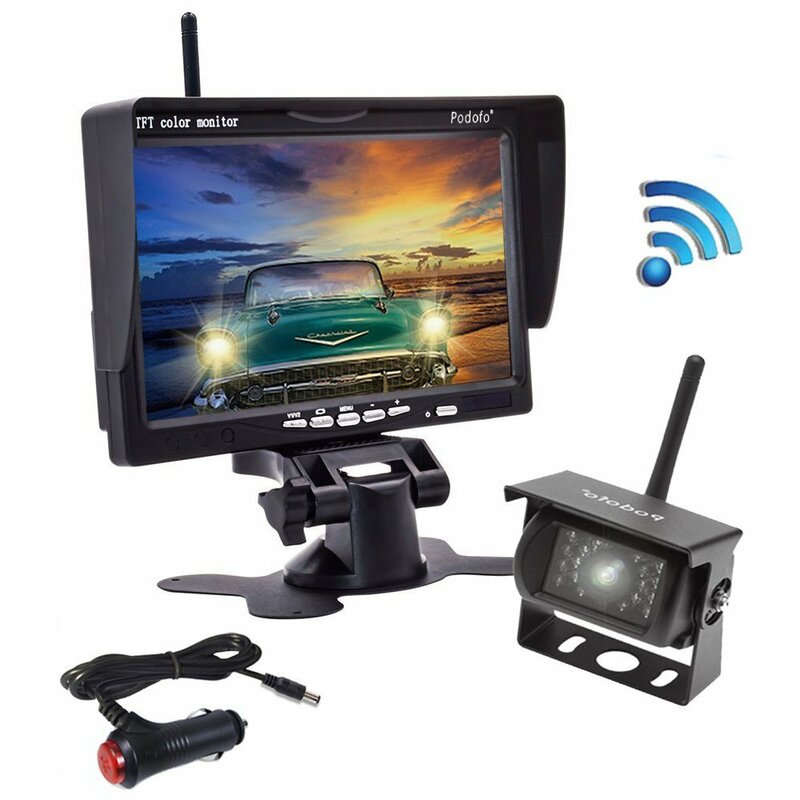 You get a single backup camera plus the stand, a 7-inch monitor, dual antennas, dual power cables, a car charger, a sunshade, a remote controller, and extension reverse trigger line, a double-sided adhesive tape, and the instruction manual. Yes, that is a lot of components but is the system complicated to install? Not really. What the extra components do allow for is more control over the system. The camera is IP67 waterproof and has night vision. It covers a viewing angle of 120 degrees, a fairly modest range but still plenty to go around. The monitor gives you some useful control options with brightness, color, contrast, and rotation. Why we like it: The kind of camera that makes no compromises on quality or capability and gives you a wide, clear range of vision while being compatible with a wide range of vehicles. It is all well buying a wireless camera, but you may feel slightly concerned about whether or not signal strength can ever be as strong as cable strength. Coolwoo claims its backup camera kit sustains absolutely no signal interference whatsoever. So far, they have a very strong case. Part of that has to do with the range. The signals in this system are operational from up to 50 meters away. They will also work seamlessly when the car is travelling in excess of 70 miles an hour. However, that unbeatable signal strength is not the only remarkable thing about it. This system is also IP68 waterproof so it can certainly go through the harshest weather conditions you may have to drive through, be it rain, fog or dust. You will be ensured a clear view from the monitor in your cabin. Of course, strong night vision is also a given. Thanks to 28 infrared LED, the night vision is automatically activated when necessary. The camera has a viewing angle of 170 degrees, about as wide a range as you can possibly find anywhere in the market. 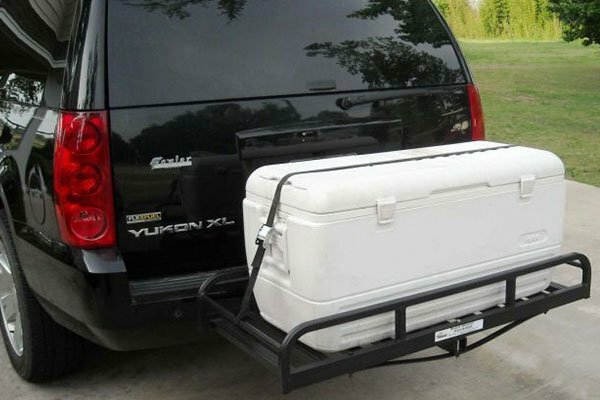 Plus, it works on wide range vehicles including cars, buses, pick-up trucks, vans, trailers, and RVs. With so many benefits on offer combined with a simple installation process, this system is an easy yes for most buyers that come across it. Why we like it: Another backup camera that is simply equipped and handles a variety of different terrain and weather conditions. GOGO’s ROADLESS backup camera system is, as you can imagine, well-suited to all-terrain use without sustaining so much as a scratch. As a driver, you will be able to drive through the toughest terrain with minimal risk an accident. This camera will help keep your eyes peeled and make sure you are acutely aware of your environment. The first thing to note with the GOGO however, is that it is a backup camera designed to support whatever main system you already have running. And that is part of the reason why it is so impressive. Let’s start with the visuals. The camera covers a viewing angle of 170 degrees. That is extremely handy when doing tricky maneuvers on less-than-friendly terrain. It has the ability to stream a clear feed during day and night which makes your car ready to roll whenever you are. Of course, it is waterproof as well as shockproof. It should be, so as to deal with the severe conditions it will endure while being attached to an all-terrain vehicle. That said, however, there is no reason why you can’t use it on the road. The installation is very simple. The camera only needs to be screwed into the license plate or any other place you want it to be. And the simplicity of the design means there is not a lot to unpack once you have bought it – just a camera, monitor, power cable, and video cable. There are a number of critical criteria that must be fulfilled with wireless camera systems, as with any system, if they are going to deliver. For motorists, there will always be at least one critical situation where a fully-functioning camera can be a huge help, but only if it works well. So how do you pick out the best possible wireless camera system from the rest? Well, you weigh it against the list of important components and features it should have, consider how well it well it will suit your particular vehicle and terrain, and then choose the closest match. In the buying guide featured below, we have detailed all the mandatory features you should expect to find in a good wireless camera kit. A camera that gives you a fairly narrow sense of perspective is not going to be of much help, especially on the motorway. As you may know already, obstacles can lurk anywhere, and a camera that provides greater angles is more desirable. The viewing angle of most cameras ranges between 90 to 140 degrees. But since our list only includes the very best cameras available on the market, the range has been raised to between 120 and 170 degrees. That kind of range is more suited for use on a vehicle than on the front porch of your home. You may not be the kind of person who likes to drive at night, but it is no less important that your camera system should be able to work in the dark. You never know when you might have to make a sudden late night dash for an emergency. This is especially true for people who drive around in areas where there is a lot of wildlife. Not only does roadkill bring a tragic end to unsuspecting animals, it can also cause serious damage to your car. And what about driving on precarious roads? If you find yourself trying to maneuver your vehicle in the dark in such places, having night vision could save you from a world of hurt. As a customer, you are more than justified to expect your live images to be streamed in high definition. After all, this is the 21st century, and any camera that still works like an 80’s CCTV simply is not worth the investment. A clear feed helps you identify objects faster and from a further distance. This, in turn, helps you make the appropriate response quicker. Most systems featured on our list are quite energy-efficient. They only need be connected to your car’s cigarette lighter and are good to go. As a consumer, you should be looking for a camera that consumes less power as possible and can be operated by sources already available on your vehicle. If it does not have to sap a lot of juice, chances are it will last longer as well. Obviously, there are some very real limits when it comes to the size of the camera that can be mounted on your car. Most of the time, it doesn’t matter if the camera can be seen. However, a smaller size makes it more adjustable and less likely to get damaged. 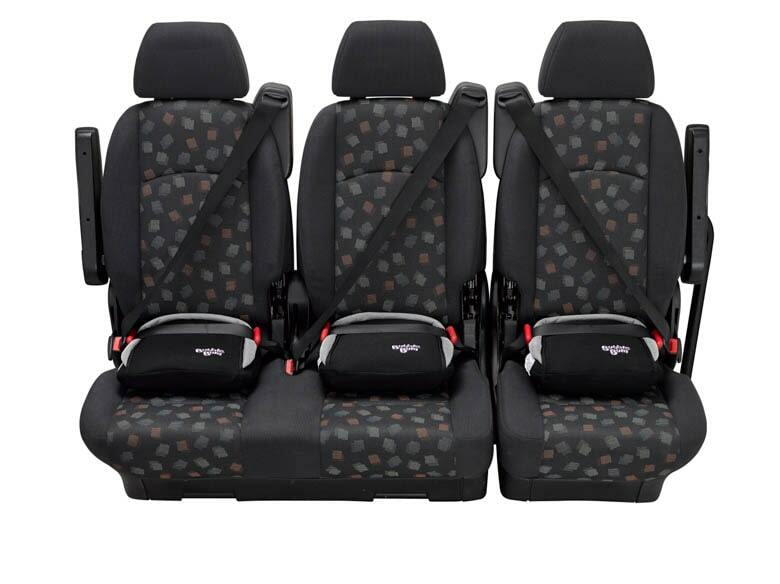 It also gives you more options as to where it can be fitted on your vehicle. Not every item featured on our list can be considered affordable. However, what really matters here is what you get for your money. If the system you are interested in comes at a premium rate but has features that exceed those of cheaper products, it may be well-worth the price tag. All you have to do is balance the cost and capabilities of the system with your personal needs as a user.